Hooks and Slow Death Hooks. Recently at a sport show the question of fish hooks suitable for walleye fishing came up. Jake and I answered the question and pretty quick that lead to another question and another and another. It soon became obvious to me that not every angler understands the proper hooks for the popular walleye fishing presentations. In this blog we’re going to solve that problem and set anglers on a path to success. An avid walleye angler is going to have need for several different kinds of hooks. The basic hook types an avid walleye angler will need includes an assortment of treble hooks, beak hooks and slow death hooks. The factory treble hooks that come on many crankbaits are marginal in quality to say the least. Lots of anglers replace the factory hooks on their lures with after market premium quality hooks. After market hooks are superior not only in sharpness, but also in design. 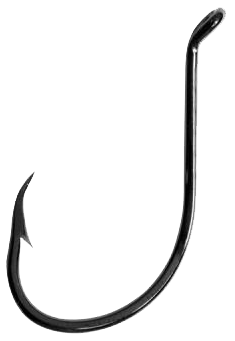 For example, wide bend style hooks like the Mustad Triple Grip and the Matzuo Sickle are good examples of hook types that hook and hold fish better than traditional round bend style hooks. With crankbaits it’s a good rule of thumb that you can replace factory hooks with hooks one size larger. The larger hooks do a better job of sticking and hooking fish. However, don’t go overboard when replacing factory hooks. Using a hook that’s too large can destroy the action of the lure. Another common place that treble hooks are used is when tying open water spinner rigs. When fishing for suspended fish I favor a treble hook at the end of my harness compared to the single hooks tied on most commercial rigs. A No. 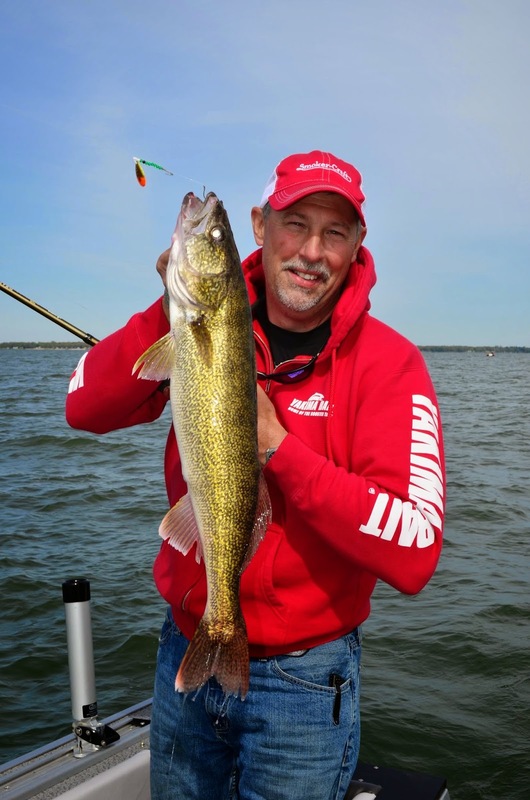 6 treble is ideal for targeting open water walleye. A third area that treble hooks shine is when tying stinger hooks for jig fishing with minnows. A No. 10 treble is ideal for tying walleye jig stingers. A beak style hook is the workhorse of walleye fishing. These compact hooks are used on a wide variety of live bait rigs designed to be used with minnows, nightcrawlers and leeches. I favor a No. 2 beak hook for minnows and nightcrawlers and a No. 4 beak hook when fishing leeches. Bronze hooks are the standard for live bait rigs, but a growing number of anglers favor red hooks for bait fishing. It’s hard to say for sure if red hooks attract walleye, but they certainly don’t hurt. The newest and most unique hook type on the walleye scene are known as slow death hooks. These thin wire hooks are bent in such a way that when baited with a piece of nightcrawler the hook and bait slowly rotates in the water. Most often fished on a bottom bouncer rig, slow death hooks got their start with Mustad and now have expanded to a number of other brands. All of these hooks are made of thin wire that is light enough to allow the bait freedom of movement in the water. A No. 2 size slow death hook is the standard size used by most walleye anglers. Normally about a half a nightcrawler is threaded onto the hook for bait and this rig is trolled at about 1.0 MPH. These hook types are the primary tools of the serious walleye angler. A good assortment of these hooks will come in handy no matter where an angler lives or targets walleye.